Oenophiles (i.e. wine lovers), rejoice: your day has come! 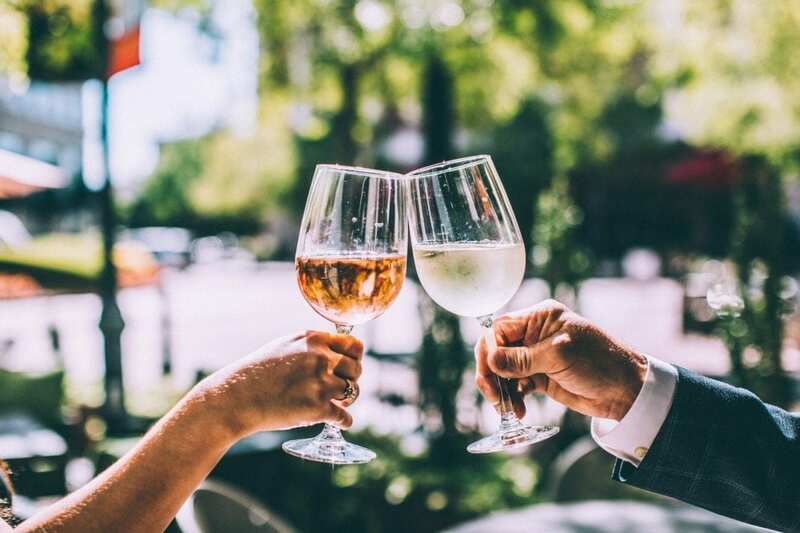 It’s National Wine Day, and there are plenty of places to celebrate this joyous occasion right here in the Queen City. Reid’s Fine Foods. 5:30-7:30 p.m. 2823 Selwyn Ave. Free. Did someone say FREE wine? They did, indeed. Reid’s Fine Foods will host a complimentary wine tasting at the SouthPark location this evening from 5:30-7:30 p.m. You’ll get to taste the full line of wines from The Prisoner Wine Company, including the company’s namesake “The Prisoner,” a particularly popular California red blend. More details here. Painting With A Twist. 7:30-9:30 p.m. 4724 Sharon Rd. $35. Sip, paint and relax at this National Wine Day class at Painting With A Twist in SouthPark. You’ll be painting either a red or white wine, in a cool or warm color scheme depending on your preference. The studio provides all the materials for you to create your masterpiece, then take it home with you. The class is BYOB, so be sure to bring along a bottle of your favorite vino — but the studio does provide cups, plates, napkins, wine bottle chilling sleeves and bottle openers. Reserve your spot here. Dilworth Tasting Room. Open 4-11 p.m. 300 E. Tremont Ave. Prices vary. First and foremost, DTR offers a massive, well-curated wine selection and incredible food prepared by Chef Brett Levan (and I am particularly obsessed with the cheese and charcuterie boards). But beyond that, you can sip your vino while you take in the lush greenery of the jungle-like outdoor patio garden, complete with a koi pond and twinkling string lights overhead. Find the menu and more details here. Bond Street Wines. 5-7 p.m. 605 Providence Rd. $10. Bond Street Wines will host a wine tasting of four different wines tonight from 5-7 p.m., though they’re keeping information about which wines a surprise for now. Past tastings have included everything on the vin spectrum, ranging from Chardonnay to sparkling rosé to Syrah and beyond. Keep an eye on the shop’s Facebook for more details. City Lights Rooftop. 4 p.m.-2 a.m. 555 S. McDowell St., 18th floor. Prices vary. For a ‘grammable shot of your wine with a skyline view (and an evening of sipping in style at a rooftop bar), City Lights Rooftop is the obvious choice. Choose from their wide selection of sparkling wines, whites or reds — or if you get a little warm in the Carolina sunshine, order a “Sparkle & Pop” featuring a King of Pops popsicle in a glass of Cava, Brut, Prosecco or rosé. Find the full menu and more details here.